Born: 9 July 1868, Broxholme, Lincolnshire, England. Died: 18 May 1938, Johannesburg, South Africa. W. Martin Epton, son of William Epton and his wife Mary, was a mechanical and mining engineer. He was educated at Yorkshire College, Leeds, and at Brussels. In February 1889 he came to the South African Republic (Transvaal), where he worked as engineer for the Nooitgedacht Gold Mining Company to 1891, and thereafter as resident mechanical engineer at the Village Main Reef Gold Mining Company for the next 10 years. After earning a medal in the Anglo-Boer War (1899-1902) he settled in Johannesburg. In December 1902 he was appointed inspector of machinery in the Engineering Department under the Commissioner of Mines for the Transvaal Colony, a post from which he resigned in 1908 or 1909. During these years he worked in the Mechanical Laboratory of the Department of Mines, where he concentrated on the investigation of wire ropes for winding. Epton was a member of the Institution of Mechanical Engineers (London), and the North of England Institute of Mining and Mechanical Engineers. He joined the Mechanical Engineers' Association of the Witwatersrand during its first year, in 1898. In August 1899 he delivered a paper on raising water from deep level mines to the latter association, dealing especially with the loss of power between boilers on the surface and the pumps underground. Owing to the disruptions caused by the Anglo-Boer War (1899-1902) the discussion of his paper was published only in 1902, in the first issue of the association's Journal. He was joint vice-president of the association for 1904/5. As co-author with J.A. 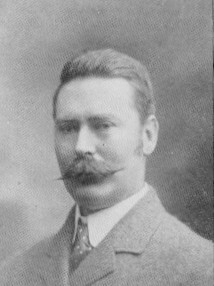 Vaughan* he contributed an important paper on "Wire ropes for winding: their strength and some causes of its reduction", for which the association awarded them its gold medal in 1905. Epton followed this up with "A few notes on results of tests of worn ropes" (1906/7). He and J.A. Vaughan* were granted a United States patent in 1907 for their invention of a machine for testing wire ropes. Years later, in 1926, Epton patented a rope-supporting roller. After the name of the Mechanical Engineers' Association of the Witwatersrand had been changed to the Transvaal Institute of Mechanical Engineers in 1905, Epton continued serving as joint vice-president to 1907, when he was elected president for 1907/8. At the end of his term of office he was elected a life member of the institute. In his inaugural presidential address, delivered on 13 July 1907, he spoke strongly in favour of amalgamation between the two local engineering societies (the other one being the South African Association of Engineers), but three more years were to pass before this eventually took place and the South African Institution of Engineers was formed. Epton was an early member of the South African Association for the Advancement of Science, but his membership lapsed when he moved to Southern Rhodesia (now Zimbabwe) in 1909. He returned to the Transvaal in the beginning of 1917 as a consulting engineer and at some time was awarded the gold medal of the South African Institution of Engineers. The next year he re-joined the South African Association for the Advancement of Science. In 1927 he became honorary treasurer of the Associated Scientific and Technical Societies of South Africa (founded in 1919), and after serving in this position to 1938 succeeded Prof. J. Orr* as its president just before his death. In 1897 he married Jessie M Bell, who died in 1912. He was survived by his second wife, Lydia Epton, but left no children. Chemical, Metallurgical and Mining Society of South Africa. Journal, 1938, Vol. 38, p. 475, Obituary. Draper, J.R. The engineer's contribution; a history of the South African Institution of Mechanical Engineers, 1892-1867 (p. 245). Johannesburg: SA Institution of Mechanical Engineers, 1967. Journal of the Transvaal Institute of Mechanical Engineers, 1905-1908, Vol. 4-6. National Archives Repository (TAB), Source MHG, Vol. 0, Ref. 1743/38: death notice, William Martin Epton. National Automated Archival Information Retrieval System (NAAIRS). http://www.national.archives.gov.za/naairs.htm Documents relating to Epton, William Martin/Epton, W.M. South African Association for the Advancement of Science. Report, 1903, 1905/6, 1918: Lists of members. South African who's who, 1908, 1917/8, 1919/20. Transvaal Leader, 14 August 1899, p. 7, "Mechanical engineers".